Had he been born in an earlier era, say, when Lewis guns and the meat rationing were all the rage, Isaac Dogboe might have fought alongside his comrades during World War I, just as his great-grandfather did. Or perhaps if he came of age in the more recent past, he would have joined the British Army, like his father Paul. Whatever the period, hypothetically speaking, the twenty-four-year-old is certain it would have entailed a career on the battlefields. “I come from a family of warriors,” Dogboe told Hannibal Boxing in a recent phone interview. “Most of my ancestors and my grandparents fought in World War I.” Given his blue blood origins—Dogboe has links to a centuries-long royal lineage in the Anglo state of Ghana, helmed currently by his grandfather’s cousin, Torgbui Sri III—it is little wonder that he upholds the matter of one’s heritage as sacrosanct, inviolable. When Dogboe, 20-0 (14), ducks through the ropes on December 8 to defend his share of the super-bantamweight crown against Emmanuel Navarrete at Madison Square Garden on the undercard of Vasyl Lomachenko versus Jose Pedraza, he will look to channel his ancestors as he tries his hand as the latest representative from Accra to capture the imagination of the boxing public. His predecessors, Azumah Nelson and Ike Quartey, have set the bar high for Ghanian excellence, but if there is any nervousness, Dogboe does not show it. Implied in the fighter’s nickname—”Royal Storm”—is a nod to both past and present. At times, Dogboe sounds as though he were addressing delegates at a UN convention. But that is to be expected, considering that greeting high-ranking dignitaries has long been part of the young patrician’s job. In early November, at the request of the British consulate in Accra, he broke off from his training camp in London to fly to Ghana to welcome Prince Charles and the Duchess of Cornwall on their eight-day tour of West Africa. Such tasks not only bring him immense pleasure, Dogboe stressed, but he sees them as more necessary than ever given his new status as a world champion boxer. His father, Paul, believes Dogboe will do more than act as a mere figurehead for Ghana. A win over Navarrete will top off what has thus been a banner year for Dogboe, who expects another violent ending. The last time he was seen in the ring was in Arizona, where he bludgeoned the Japanese challenger Hidenori Otake in 138 seconds. “This has been a great year for us, a year of knockouts,” noted Dogboe. “I believe we will closing the year with another spectacular performance, another knockout.” There are times, however, that he admits to feeling a bit astonished that he has come this far, headlining major shows seven thousand miles away from the sandlots of Accra. “We kind of appeared out of thin air, just like they say that the world appeared with the big bang,” said Dogboe, chuckling. But the air in boxing is not only thin, it is stultifying—which is to say it is not conducive for producing surprises. All too frequently the proceedings in the sport appear hitched to the strings of a conniving puppeteer, the outcomes of fights choreographed well in advance. So to see the previously unheralded upstart show up on a Philadelphia card last April and yank a super-bantamweight title away from Jesse Magdaleno—the talented if undisciplined blue- chipper who had been groomed by Top Rank since 2010—was a reminder that a sport generally averse to surprise was still capable of the occasional plot twist. All of which is to say that the rise of Dogboe has been one of the more genuine storylines to come out of 2018. He has been rewarded accordingly with a promotional contract from Top Rank, whose exclusive deal with broadcast behemoth ESPN ensures his fights will be disseminated widely. 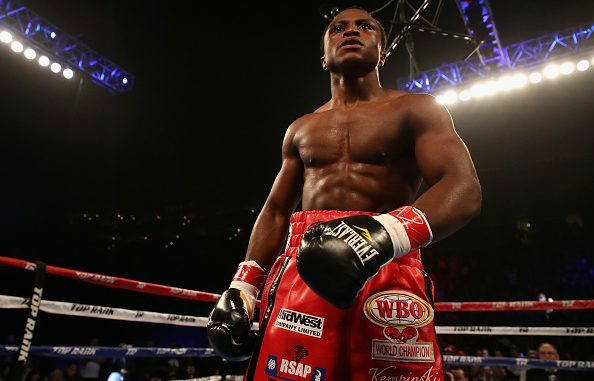 Indeed, in addition to his propensity for knockouts, Dogboe possesses the sort of telegenic personality that could strike a chord with a general audience. Already his traditional war cry, the spondaic “Ne-ho,” which Dogboe can be seen chanting vociferously before and after his fights, seems to be catching on. The word cuts deep into his warrior lineage, though its exact meaning, in English, is somewhat hard to pin down. Amid his war cries, Dogboe has a clear awareness that his trade is only an approximation of the actual combat his forefathers engaged in. 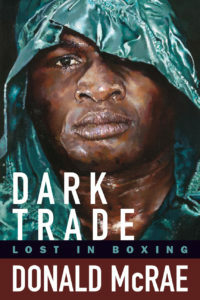 Because those in boxing typically originate from some state of desperation, there is a tendency to metaphorize every aspect of the sport—the fighter as warrior, as gladiator, as soldier in the trenches—and to seek overarching narratives where there may be none. That Dogboe makes no such conflation is rooted perhaps in the fact that he grew up with a lifestyle alien to the majority of those who punch for pay. “Isaac doesn’t need boxing to survive,” his father pointed out. Born in Ghana, Dogboe moved to the London suburb of Kennington when he was eight. There he grew up like any normal school child, attending classes during the day and playing sports in the evening—a far cry from the average boxing story involving broken homes and abject poverty. He does not view such relative privilege as a drawback, as it relates to competing in a blood sport, though he credits his father for keeping him singularly disciplined and level-headed. “I feel privileged to have that relationship with (Toney) and his team,” said Dogboe. Dogboe’s ambitions loom large. Like Manny Pacquiao and Floyd Mayweather, he hopes to become a multiple-weight world champion, perhaps in five divisions. In the more immediate future, he has his eyes set on facing featherweight champion and promotional stablemate Oscar Valdez. “He knows who I am,” Dogboe quipped “That’ll be a fun fight. Oscar comes forward.” But for now, he is content on making sure his Madison Square Garden debut falls in line with the rest of his year: with explosive élan, replete with loud rallying calls and hard lefts.